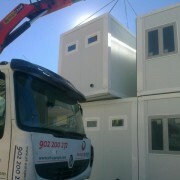 We have just finished the assembling of the prefabricated modular building for the Airbus Group at Sevilla. Airbus Group is the spearheading of aerospace and defence sector in Spain, as it is one of the most important industrial corporations on an international level in the aerospace sector and the first helicopter manufacturer in the world. The company had its origins in Construcciones Aeronáuticas S.A. (CASA), a pioneer enterprise of Spanish Aviation, created by José Ortiz Echaqüe in 1923. In the year 2000, after the fusion of CASA with Aerospatiale-Matra and DaimlerChrysler Aerospace AG (DASA), they became the European Aeronautic Defense and Space Company (EADS). In 2014, after reorganizing, they called themselves Airbus Group. They currently work in Spain and employ more than 11.000 workers. 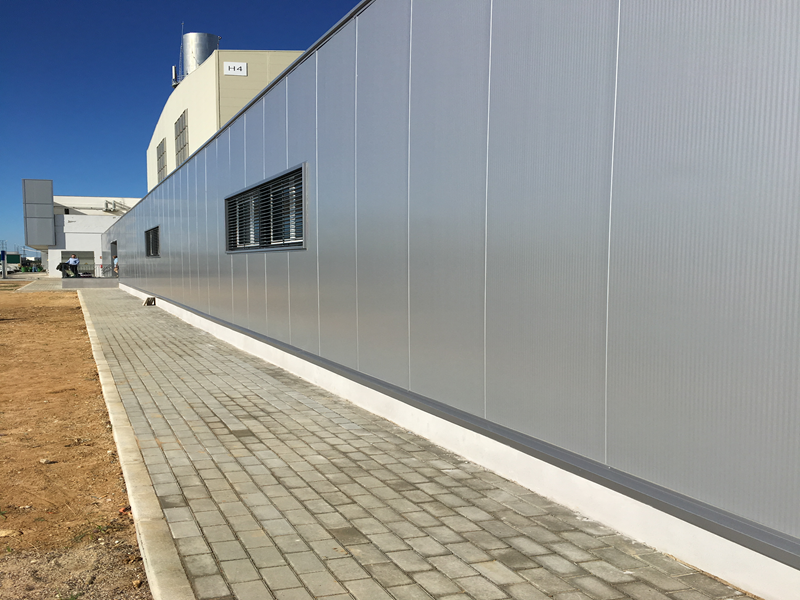 Our project to them was assembling a prefabricated building for dressing rooms of 955 m2, covered in rockwool sandwich panel of 60 mm with AENOR certificate at Airbus’ factory at Sevilla, south area. 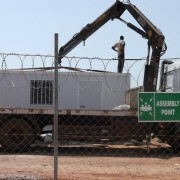 The total dimensions of the building were 55,97 x 17,14 meters, assembling 63 modules of 6,62×2,35. 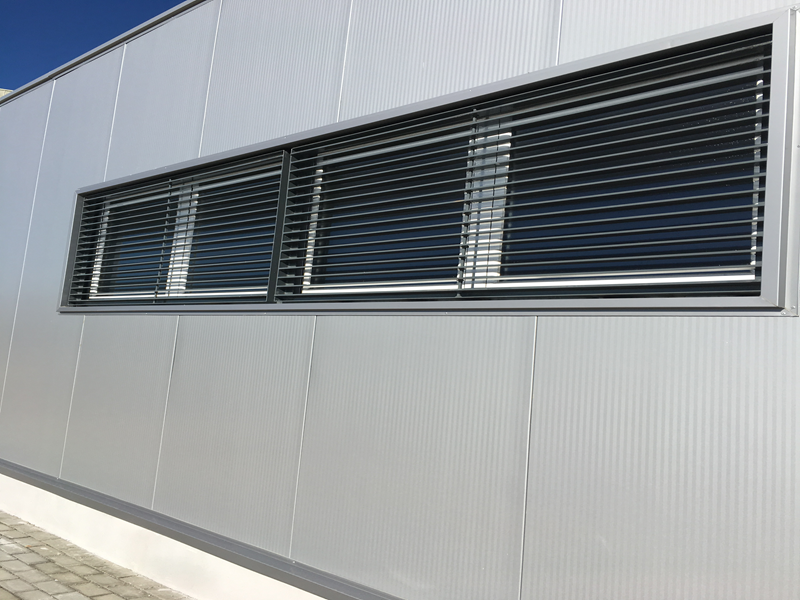 The whole building meets the requirements of the Technical Building Code (CTE), for structural features and thermal and acoustic isolation. 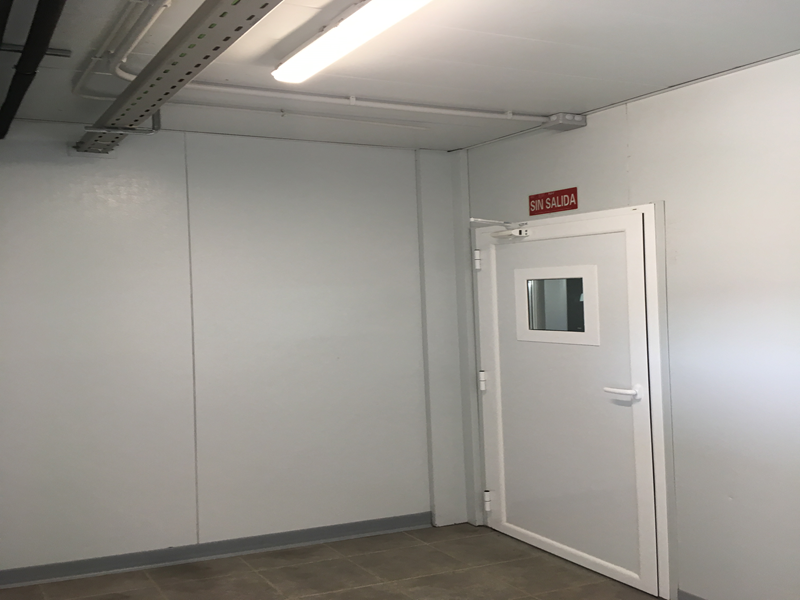 Inside the building we have installed bathroom facilities, electricity and air conditioning. Dressing rooms and dining rooms. 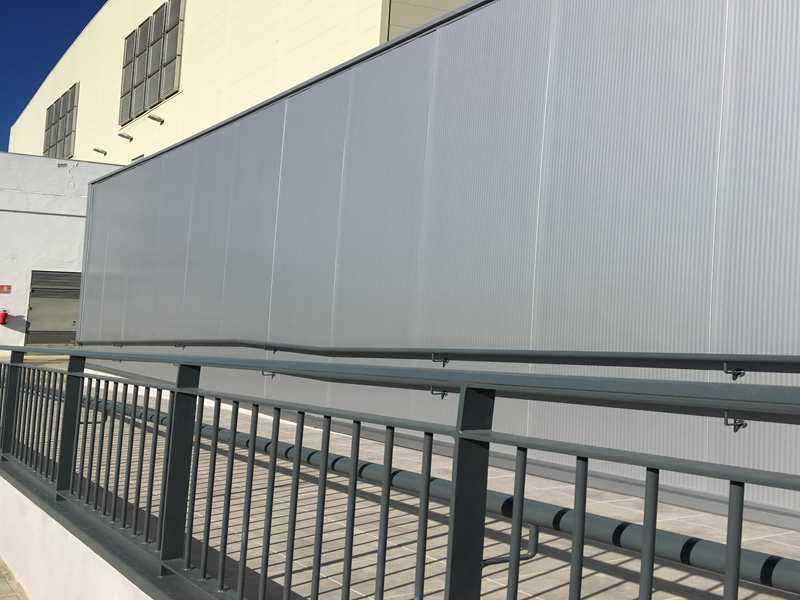 Preferential carport parking at Málaga’s airport for AENA, with 90 parking spaces OLA model with a “small wave” roof, divided into two simple modules, the first of them with 59 spaces and the second with 31 spaces. 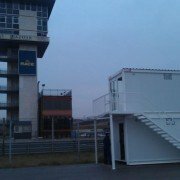 They have also provided 3 special parking canopies to cover the barrier for entrance and exit of the parking, and also another special parking canopy to cover the parking paying machines. Málaga Fair: 50 modules for different uses, at the Cortijo de Torres Fairground. 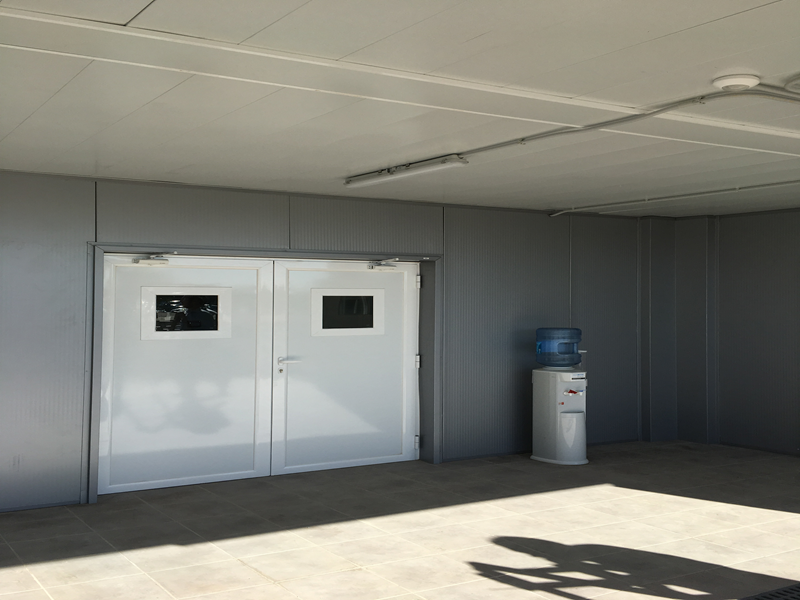 Mutua Madrid Open (Master 1000): ticket office modules painted in the corporation colour for the sports event and office modules for some enterprises that took part in the tournament. 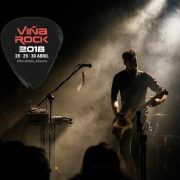 Viñarock: supply of all the prefabricated modular building types for offices, ticket offices, dressing rooms and other uses, being a total of 60 modules. Where there were innovative products such as a module for Caja Rural that will be used for ATMs. Service for Fire Prevention: prefabricated modules for security transported to their final destination by using a helicopter. 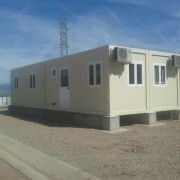 Red Crane Group: office prefabricated modular building. 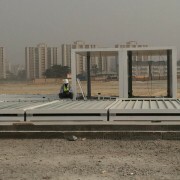 The building is made of 7 modules of different dimensions attached to form the required conditions asked by the customer. 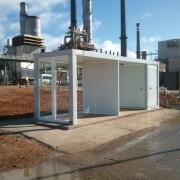 The modules have been made with standard technical features and glass frontals with a security glass. 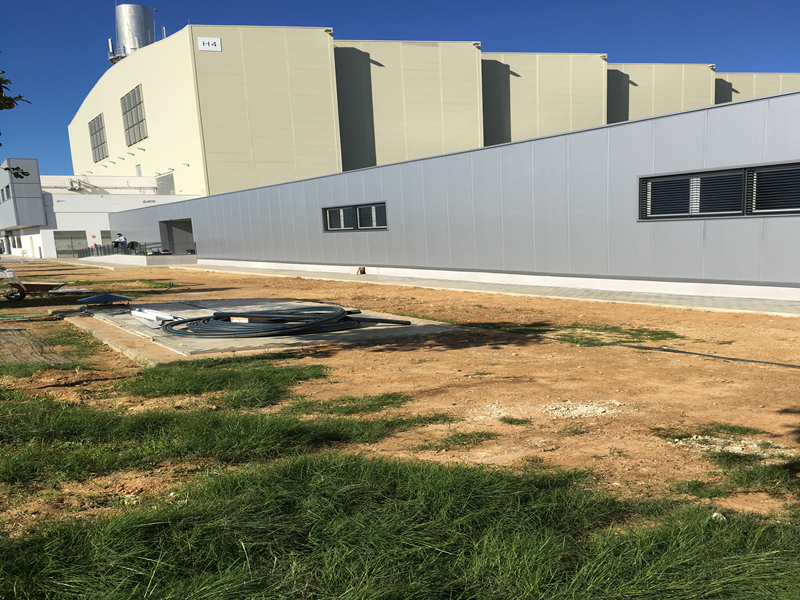 Barajas airport parking: we have replaced the old carports, dismantling more than 1.200 spaces, we have cleaned up the area and manufactured and assembled 1.300 new parking spaces custom-designed by our customers, under AENA’s supervision. 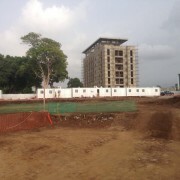 The works were done in 4 phases, to avoid the closure of the parking facilities.